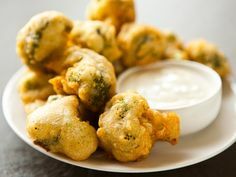 If you’re a fan of broccoli and cheese you will love broccoli bites. Not just broccoli bites but Bennigan’s Broccoli Bites. According to their website, the story of Bennigan’s Legendary Irish Hospitality began over 40 years ago and continues today with new chapters that reflect Bennigan’s history while introducing a reinvented brand. We are redefining casual dining with chef-driven food, innovative drinks and memorable dining experiences for every guest, every meal, every day. mixture for about 1 hour. This will help to bind the mix making preparation much easier. paper towels to absorb excess oil. continue mixing until smooth and well combined. These look gorgeous! Thanks for sharing!